Dust off the keyboard and get ready to register some domains at super low prices! Domain Cost Club always has great at-cost pricing on domain registrations, renewals, and transfers, but we wanted to point out some domain extensions with super low pricing for Black Friday and Cyber Monday. .SHOP has been a very popular and currently one of the top 10 fastest growing new gTLDs. 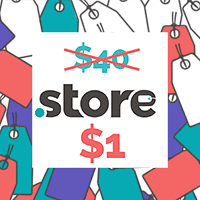 This top level domain is already on sale for $1.62 on first-year registrations all the way through November 30th, 2017! .XYZ continues to be the most registered of the new gTLDs, it works for just about anything! Register some .XYZ domains for $0.50 each on the first year during the sale. 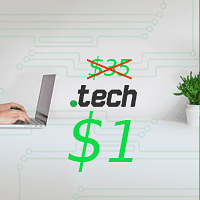 Take your pick from .STORE, .TECH and .PRESS; All 3 of these TLDs are $1 for the first year of registration. 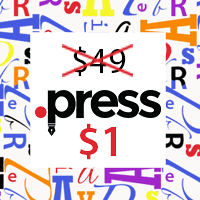 Register a .PRESS for 5 years and pay only $9.99! .WEBSITE, .FUN, .SITE, and .HOST are only $0.60 for first-year registrations. Get a .WEBSITE and/or .SITE for 5 years and pay only $5 each! Not to save the best for last, but first-year registrations of .ONLINE, .SPACE, and .PW domains are only $0.50. 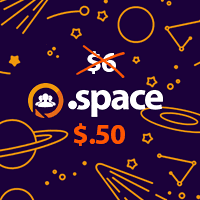 Get .SPACE and/or .ONLINE domains for 5 years and pay only $5 each! Want a good deal RIGHT NOW? Go to our Promotions page to see over 200 TLDs currently on sale! Copyright ©2017 by DCC. All Rights Reserved. Our business partner shares an amazing opportunity to earn $50,000 in 24 months or less. Which bonuses am I talking about? sessions with me. ($500 value). Contact me today, before it’s too late! Mark, an old friend of mine who likes adventures,traveling and making friends sent me this article to spark your entrepreneur journey. One lover, the entrepreneur, makes or invents something that is meaningful and important (or fun or stylish or whatever the niche may be)…. Maybe it’s the wine, or the reputation Italy has for romance that sparked the quote above (I’ve been saturating in Tuscany the last week or so, so it’s rubbing off on me I guess). ***And here is a pic of the Tuscany countryside from outside our bedroom window…Shanny took it on her snapchat…so I’m pretty much in a semi-enchanted state of mind most of the time while here.But moving on…Here are 3 tips that may help power your entrepreneurial quest, and add a splash of romance to what is oftentimes considered to be just a necessary “grind” to chisel out a living :#1- Ask yourself, “Is it possible that I might be able to fall in love with the products, services, and solutions I offer?”#2- Far deeper, and better, is to ask yourself, “Is the client who would be attracted to the product/service I promote…is that the type of person who I could truly enjoy spending time with? That question is mega-important…read on…And at some level (maybe just the brotherly-love level) could I see myself “loving” my clients? <–when the answer is “yes”, it opens up a world where your business becomes not only a lifestyle generating profit center, but also an abundant resource of every-growing “affinity” friends <—friends who have similar likes, interests, and passions…so really your business becomes a platform for a marvellous social life.#3- Realize the stuff I’m typing above is romantic, it’s a little reaching. It’s pushing the reality of what business “actually is” a little far. However, just like a romantic relationship…romance is not 24/7/365…conversely, it seems to pop up here and there… And just a touch of that romance “here and there” softens the blows of sustaining a real-life business. Years ago, I had a preposterous idea that I could create a thriving business simply by chasing my bliss (which is adventure, travel, creativity, bonding, friendships, scriptures, and stuff that is near & dear to my heart). I can say with little fear of inaccuracy that no one except my wife believed it would work…and many times, I’m not so sure she believed. But somehow, I held the notion that I could become a millionaire by being myself. And it sorta worked out…and it’s working itself out more and more as the years tick by. Okay so to really wrap this up: If you are on this list, and are interested in learning from my bag of entrepreneurial tricks (past, present, and future), I’m piecing together a unique joint venture experience for my new and long-time partners and clients. with the no’s and rejections that come in all forms throughout the day. Someone can’t talk to you. Another won’t be able to make a deadline. Still another changed their mind about promoting your products. emails, sales pages or other promotional efforts. disassociate yourself from the work. the road to correcting it! will take you up on your offers. As tempting as it is to do, don’t make this about you… It’s not! It’s about the work, and everyone gets it wrong before they get it right! you to a higher level of success from this day forward! Where should you invest in property? Well, it’s all about knowing the numbers. This is a numbers game and the numbers don’t lie. So where do you find the numbers? When it comes to Real Estate Rescue – The Pain and Gain Report is one of the greatest sources of insider knowledge that I’ve come across. It’s a special report put out by RP Data each quarter that tells you how many properties in any given area have been sold for less than they were purchased for. It lists the statistics for each council area so you can start to get a feel for any distress in the market, where you’re going to find motivated vendors and where there’s opportunity for the strategy you’re going to adopt. So click here to watch the video and download the report.